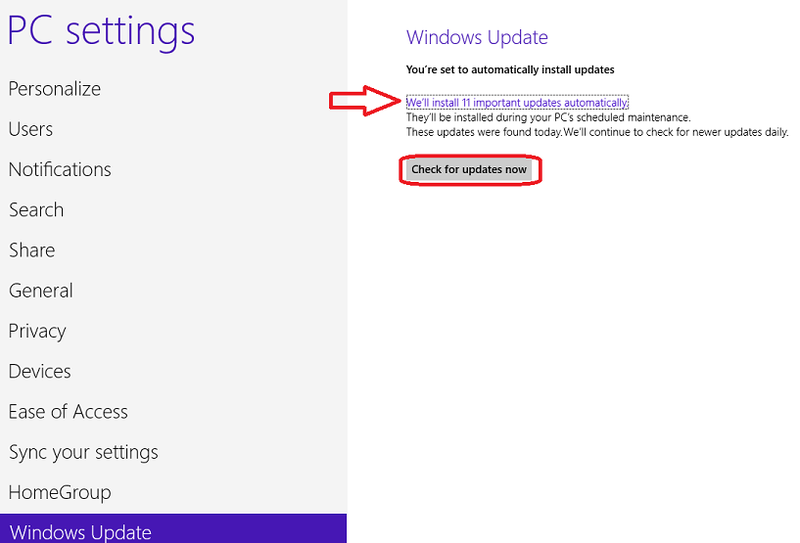 This document explains how to use Windows Update to install critical updates. 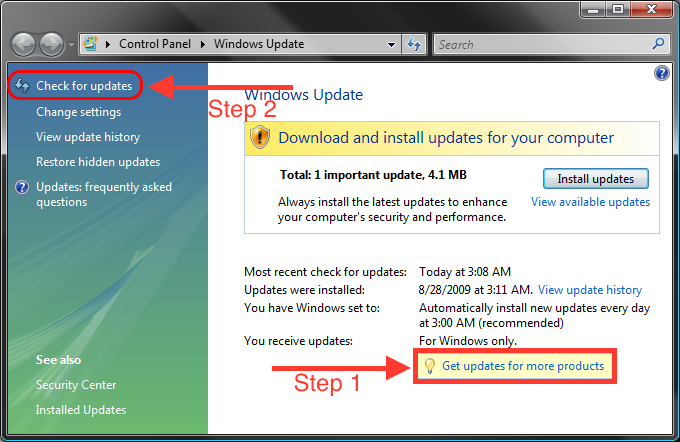 NOTE: If you would like Microsoft Office updates to be included in the Windows updates you must follow the steps here. Go to the Start Screen screen and type windows update. Select Check for updates. 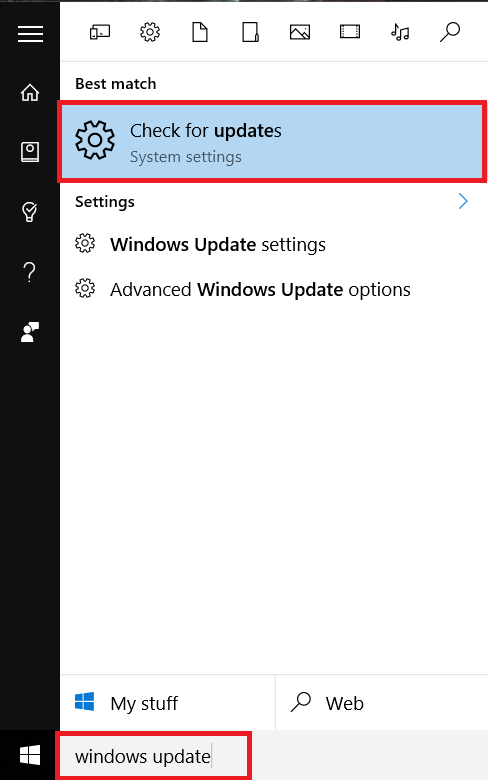 If Windows Update says that your PC is up to date, then your computer has all updates currently available for your computer. Otherwise click on the Check for Updates button. Windows will now check for and install all updates. 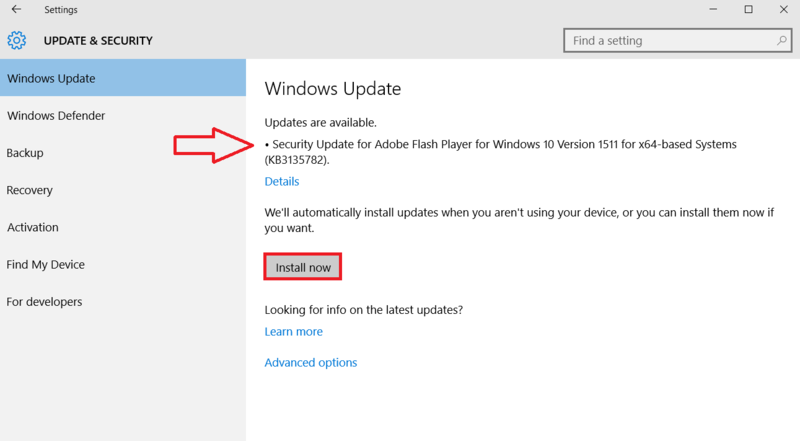 Note: To install optional updates click Install Now after checking for updates. Go to the Start Screen screen and type windows update. Select Settings on the right, and then select Windows Update on the left. You can select "Check for updates now" to check for new updates. If your updates are not set to automatically install, click on the purple text above that lists the number of updates and you will be able to manually install them. When the window comes up, click Get updates for more products. Afterwards, click on Check for updates in the top left corner of the window. Note: If you forget step 1, you will only update Windows and not any of the office products. 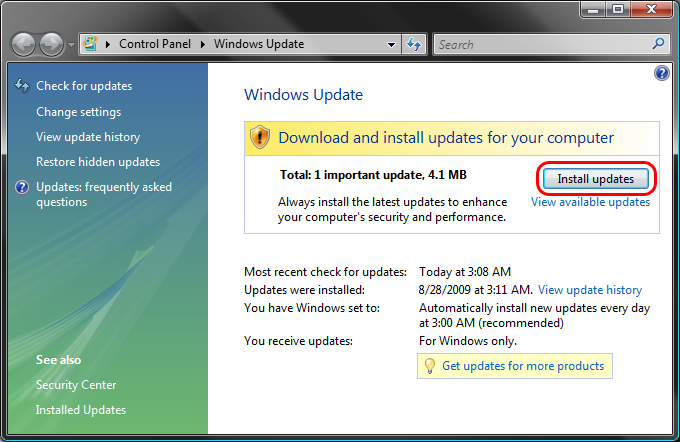 Once it finishes checking for updates, click Install updates to install any new updates. 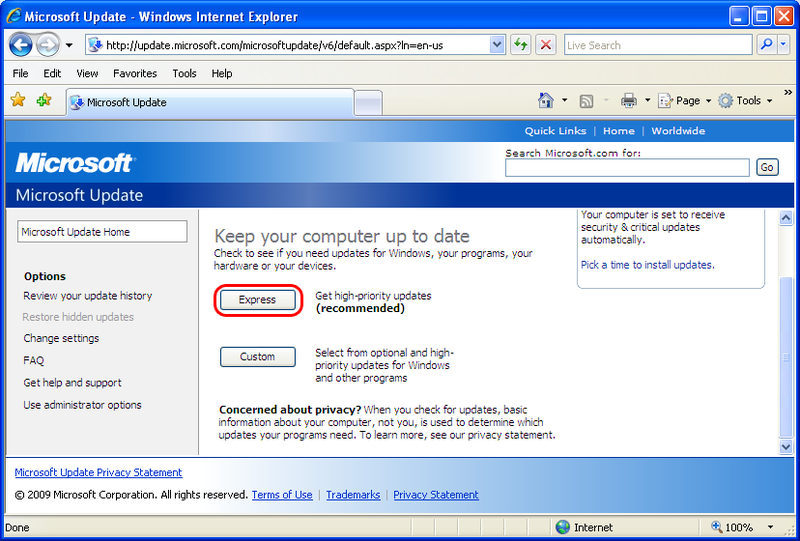 Express: This is the recommended option to find all needed high-priority updates. 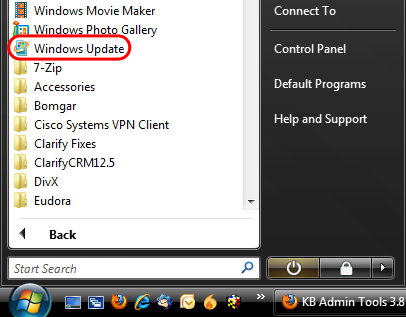 Custom: This option will scan for high-priority updates and optional updates, such as drivers or software updates. Unless you have a specific reason for selecting Custom, it's recommended to click on Express. You will then be presented with a list of updates. 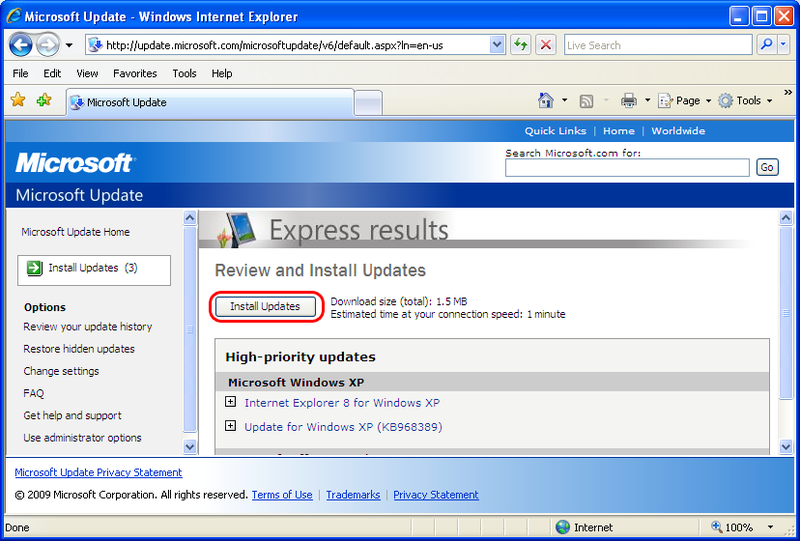 If you chose Express, click Install Updates. If you chose Custom, you will be presented with a list of high-priority update options. Check the updates that you would like to install. On the left-hand side, you will have an option to review software and hardware updates. Select any desired updates from these categories. Once you have selected all desired updates, click Review and Install Updates. You will now be presented with a list of your chosen updates, verify it is correct and choose Install Updates. A dialog box will open to display the download and installation progress. 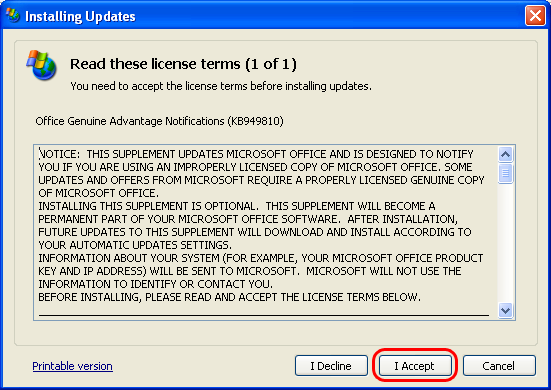 If you are prompted for any license agreements, you will need to accept them. Wait for the updates to download and install. When they are done you will be prompted to restart your computer. It is a good idea to repeat the process until you are sure there aren't any more critical updates. Often, installing a major update like a Service Pack makes a whole new set of important updates available.